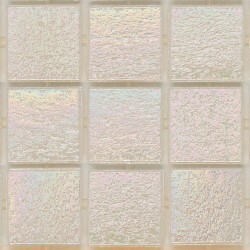 Trend 824 is a part of Trend Shining range. 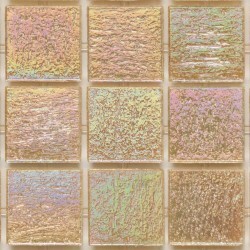 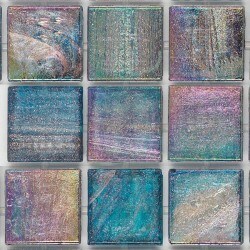 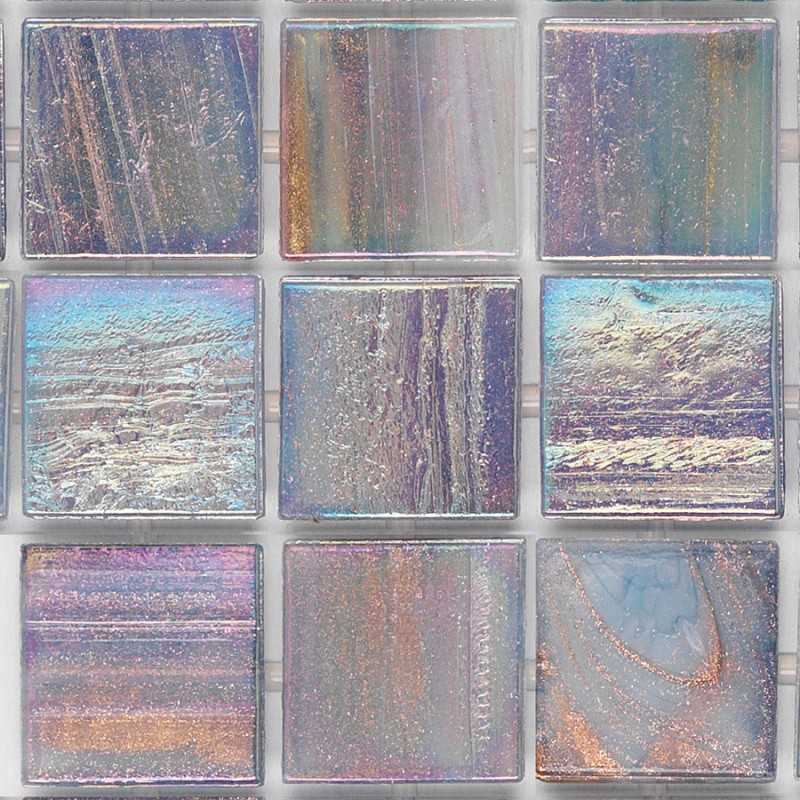 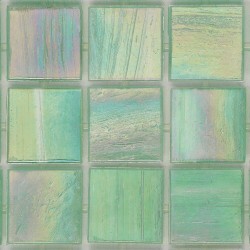 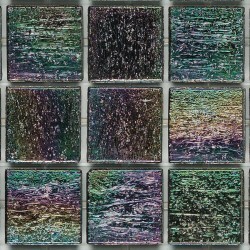 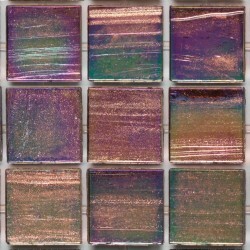 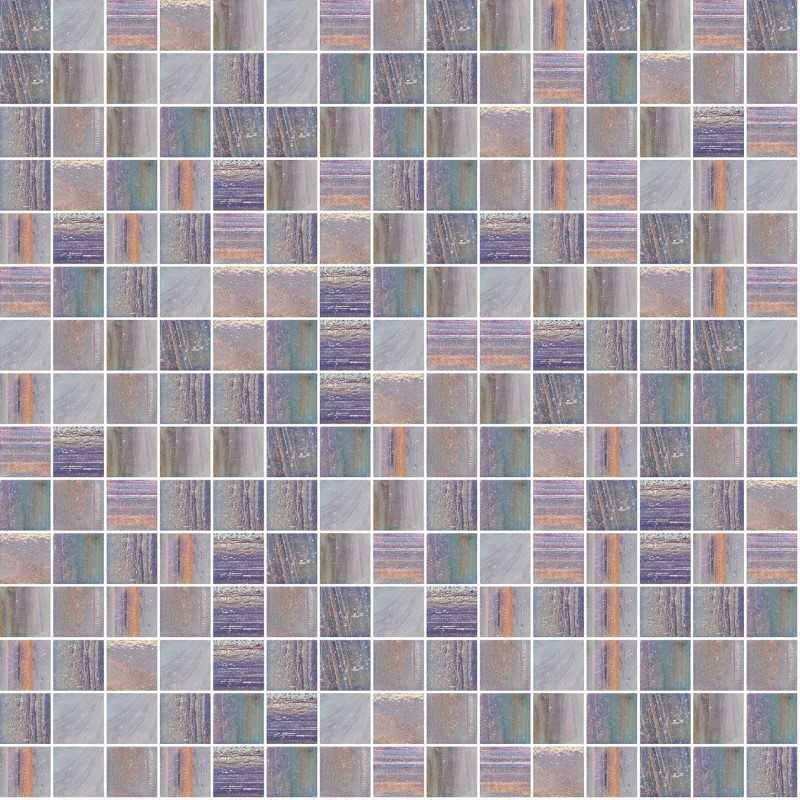 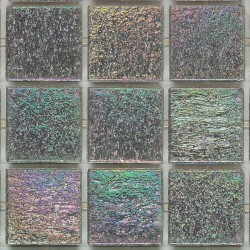 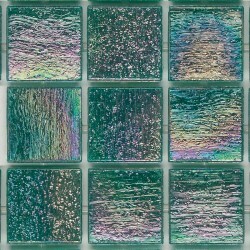 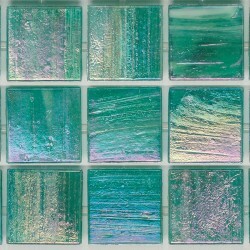 Trend Shining is a semi-transparent or opaque molten glass mosaic tesserae present an iridescent effect. 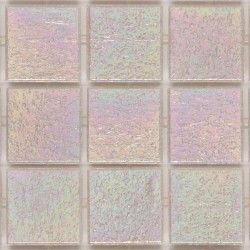 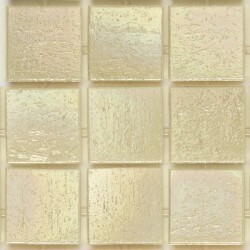 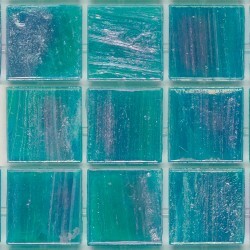 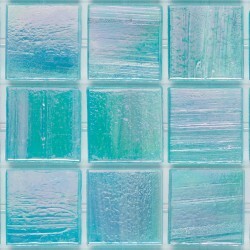 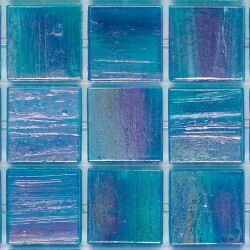 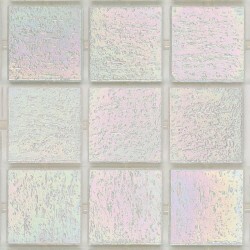 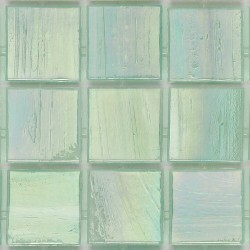 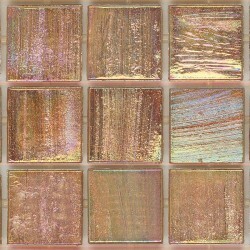 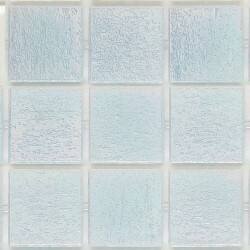 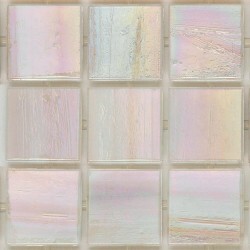 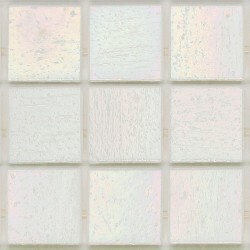 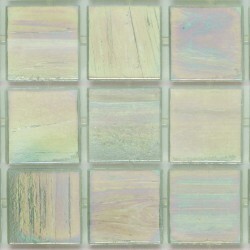 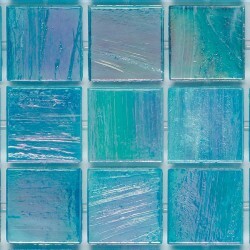 Trend 824 Shining Italian Glass Mosaic Tiles. 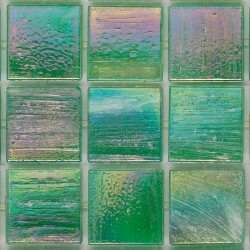 The production process is the same as for Vitreo or Brillante mosaic, although the iridescent effect is obtained through the addition of semi-precious metals when the glass is still in a semi-liquid state. 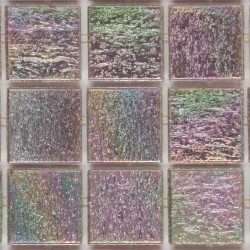 The iridescent effect is permanent and is not affected by chemical agents, temperature changes or frequent use. 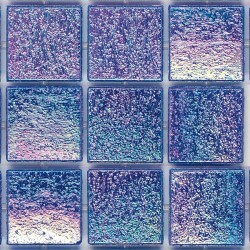 Shining mosaics can be laid on the floor or vertically on interior and exterior surfaces. 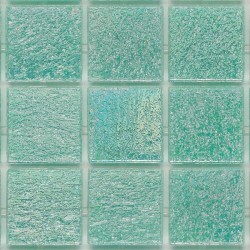 Tiles can be used in contact with water, for applications such as shower trays or swimming pools. 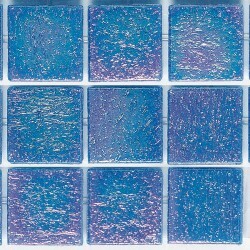 Due to the size of the tesserae (3/4" x 3/4") and the frequency of joints (~ 2/48"), the mosaic surface is inherently slip-resistant. 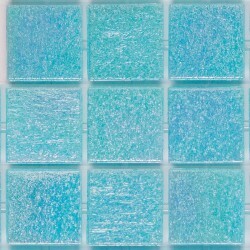 The waterproof characteristics of this mosaic does not preclude waterproofing of the foundation substrate for swimming pools and similar applications.